It is really difficult to begin to describe this magnificent loft other than to just say it is pure perfection and it doesn't get any better than this! 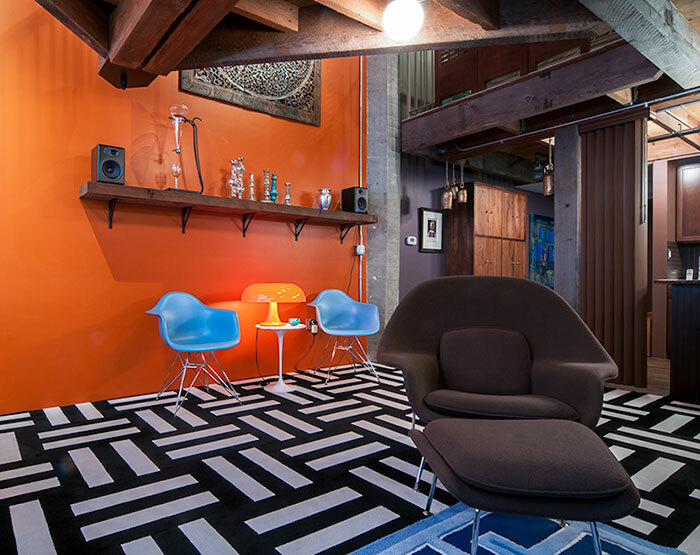 There are amazing lofts and then there are AMAZING LOFTS! 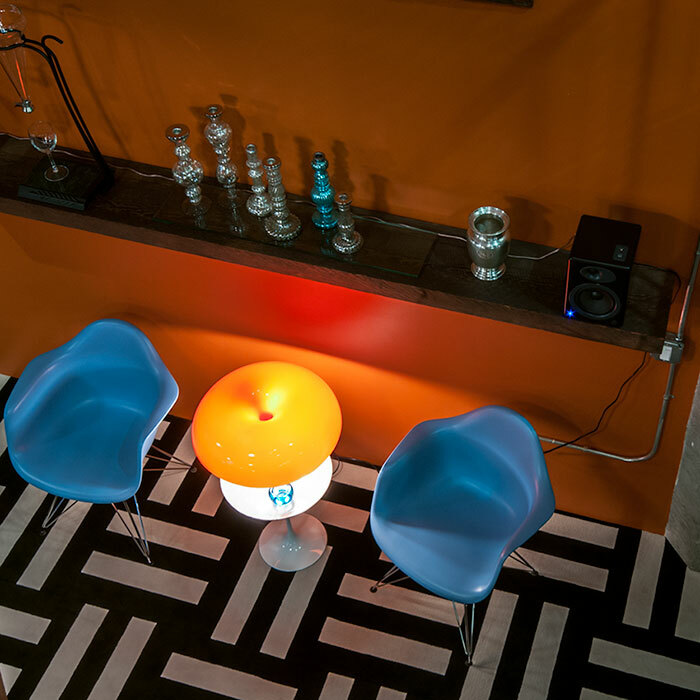 Never before have we seen such a magnificent space at Porter 156! The moment you walk in the door you can just feel the brilliance that went into this gut renovation which has resulted in a one of a kind home that will simply leave you breathless. With approximately 1250 square feet on two levels there is an enormous open living room, a grand bedroom, a media/second living room and a splashy fabulous kitchen that will make your jaw drop to the floor! 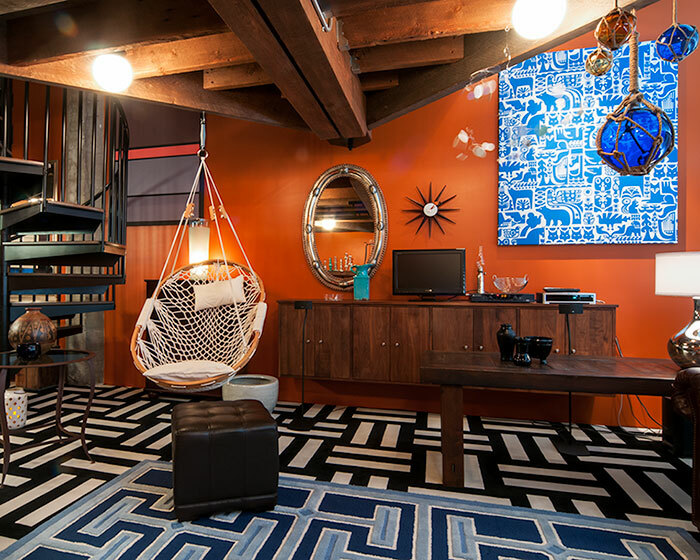 Two years of the owner's love, time, devotion and vision has made this loft the best we have ever seen! Every part of the renovation included the highest quality of materials, finishes and was so well thought through, you truly experience that at every turn. The antique timber beams of the ceiling and exposed brick add incredible character to this 1912 warehouse while the designer flooring and all the spectacular modern finishes and extras give it a stylish and contemporary feel that you will simply adore. There are separate rooms without taking away the openness of the loft, which is really the brilliance behind this masterpiece! If you haven't considered East Boston, you really should. The space you get for your money cannot compare to Boston's other more expensive neighborhoods and the conveniences of East Boston is what makes it a great choice. Minutes to Downtown, steps to the T, fabulous new parks and all kinds of new restaurants make East Boston the new South End! 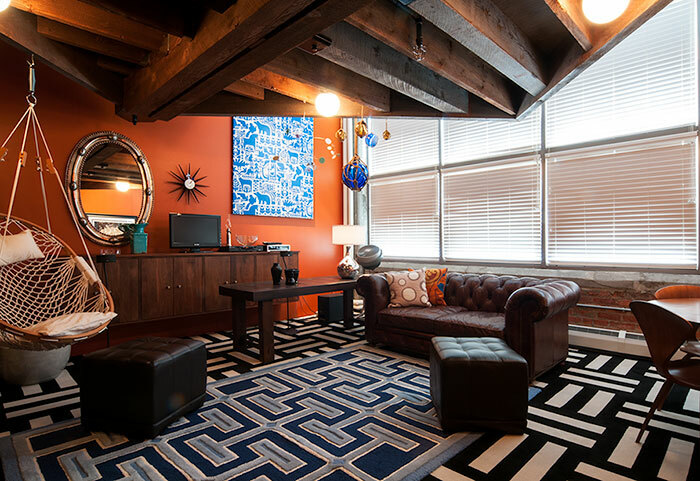 And if you appreciate an excellent loft, the quick trip to to East Boston will be well worth it to see this one of a kind space! The owners have built a loft within a loft and have done it so cleverly with these 100+ year old reclaimed antique barn timbers. They provide an entire second level of living space and make this home visually brilliant. With the southwest exposure, terrific light shines in all day while these custom Levlor blinds also provide nice privacy. Great space! Great loft! WOW! 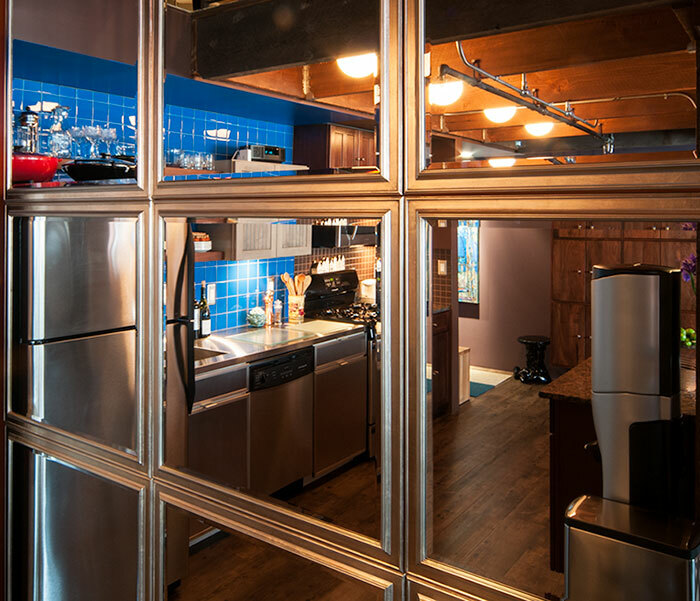 The owners have transformed this basic kitchen into a masterpiece! It is so tasteful with walnut cabinets and shelving, stainless steel appliances, including a samsung built in microwave and gas cooking, xenon under cabinet lighting and the most amazing granite topped breakfast island. 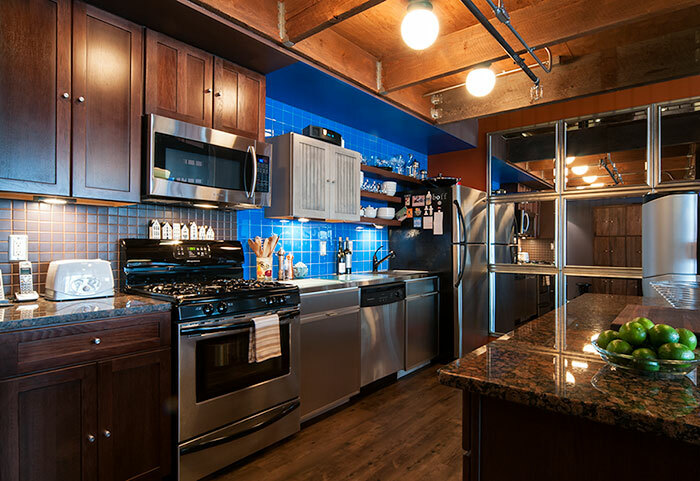 The tiled backsplash and the custom tile glass wall makes this kitchen a true showpiece! Oh, and it's fabulous to cook in too! Just off this sensational living room is a custom built, wide solid steel spiral staircase that leads you to a one of a kind upstairs. 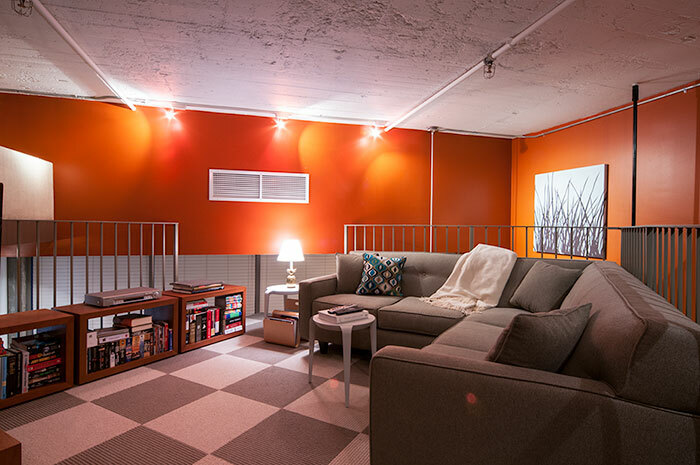 What a fabulous idea for this loft! A second level media room surrounded by a stunning wrought iron railing, high end design Interface Flor modular carpeting, custom shelves and of course space for a very large flatscreen TV. It's been equipped with acoustic theater sound panels ensuring the room stays quiet from the rest of the loft so you can enjoy hours of entertainment in this amazing space. This bedroom is about as peaceful as you can get. Amazing closets, custom lighting and just the ultimate in comfort and beauty. What a dream to have closets like this! Custom California Closets with full built-ins including drawers, in cabinet shelving, and hanging closets with built in lighting too! There is even a built-in home office, which you will absolutely love! With the loft so open there are great viewpoints throughout. This tranquil sitting area has a stunning reclaimed timber mantle shelf and designer Flor modular carpet that really brings a WOW factor to the space. Usually we don't judge bathrooms but by far this is the best bathroom at Porter 156 and dare we say in all of East Boston?! 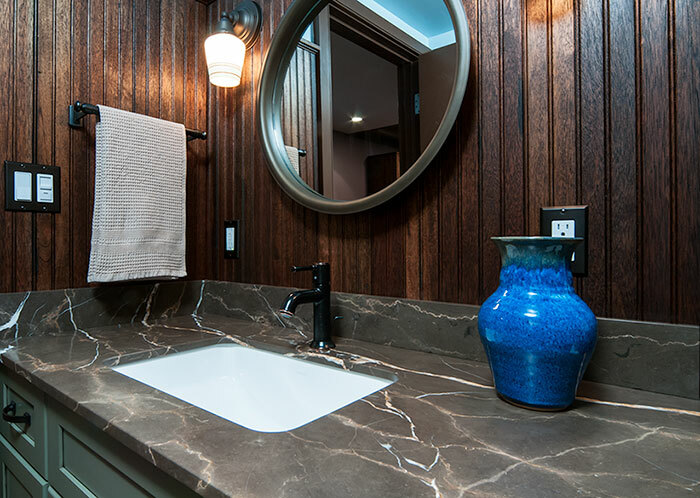 The Italian marble full sized vanity is gorgeous and the mahogany beadboard will just take your breath away! 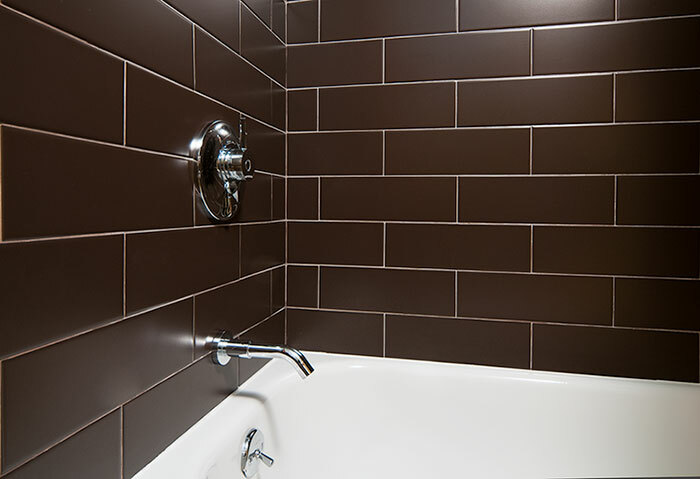 Rich, contemporary and stylish this deep chocolate Daltile ceramic shower is just the coolest! 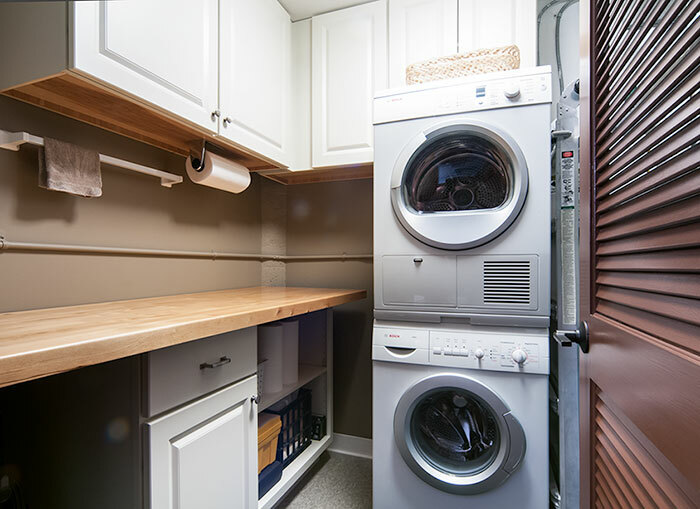 This laundry room has been overhauled to include a top of the line Bosch washer and dryer, a surplus of convenient cabinets, shelving and your very own ironing station. Now that's a laundry room!